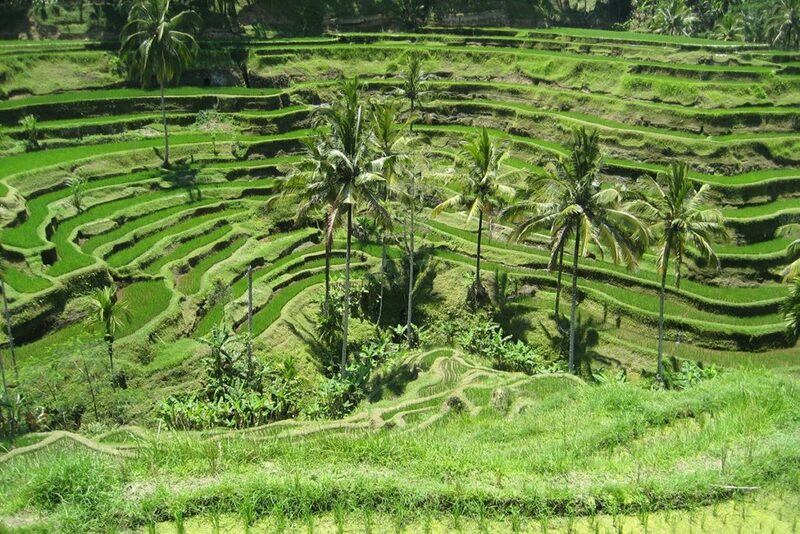 Bali is one of those bucket-list destinations where you might not expect to find great golf. After all, the Island of the Gods is best known for surf, sumptuous resorts, culture, mountains, shopping and friendly people. 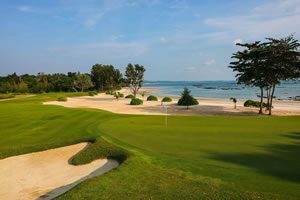 Golf IS one of Bali’s great attractions, with three wonderful courses within easy reach of the main tourist hubs. 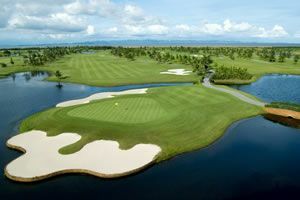 The island’s first course, Nirwana Golf Club, designed by Greg Norman, opened in 1994 and has been one of Asia’s favourite and most highly regarded layouts ever since. Its five ocean-side holes never cease to intrigue, especially the par-3 7th hole with Tanah Lot temple in the background. This may be the photographed golf hole in Asia. Part of the Pan Pacific Nirwana Bali Resort, the course is a mixture of terraced rice paddy, rolling fairways with mango and other mature trees, and those beside the ocean. Also with 20 years’ history, Bali National Golf Club, previously known as Bali Golf & Country Club, has just re-opened after an 18-month makeover. The original layout at Nusa Dua has been retained, but completely new green complexes and fairways and two new holes have lifted it another notch. resentation and design is first-class and it takes some careful negotiation to get around the layout close to your handicap. A new clubhouse beside the 18th green is ideal for watching other players negotiate the final hole. New Kuta Golf Club is Bali’s newest course. Opened in 2009, the Ronald Fream design is part of the rapidly expanding Pecatu Indah Resort area on the Bukit peninsula, 30 minutes from the airport. A mixture of inland holes on the front nine and several leading to and playing beside the ocean on the back nine provide nice variation. The par-3 ‘Cliffhanger’ 15th hole high above the ocean is one of several standouts. The Golf Academy Bali is located at New Kuta GC and is headed by British PGA professional, Rory Young. Bali’s other 18-hole course, Bali Handara, is planning a renovation that will greatly enhance this very picturesque layout, 90 minutes north of Ngurah Rai airport, which now has a new international terminal.